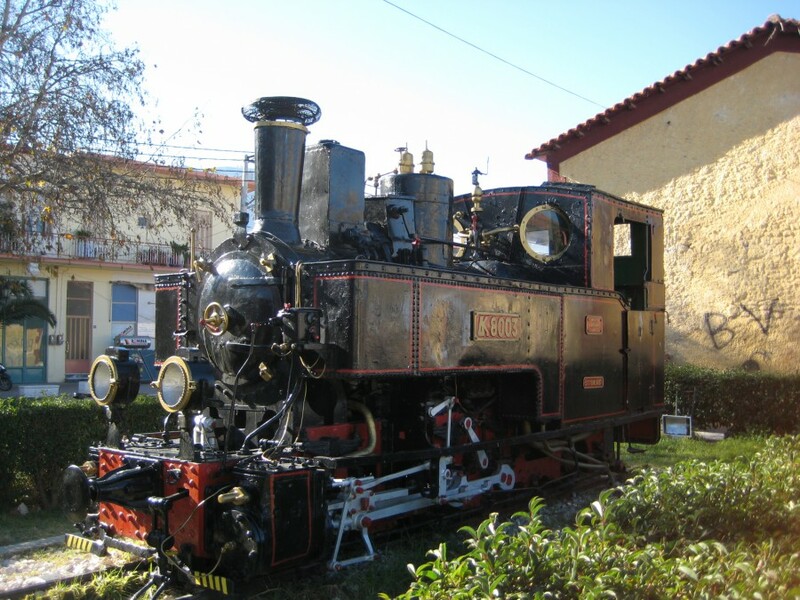 If you have read our previous travel article about the winter destination named Kalavryta you might already know that its most famous attraction is without hesitation the historic Diakopto–Kalavryta Railway. The railway was originally built in the late 19th century to transport the mining goods away for further processing. During the course of its history it has been adapted to please the eyes of the tourist. Indeed, the 22-km long rack railway, drives along the fabulous Gorge of Vouraikos, where you will be able to glaze at impressive rock formations or waterfalls, go through tunnels carved through the rocky hills, as well as follow the river Vouraikos, which flows down from the city of Kalavryta to Diakopto where it merges with the Korinthiakos Gulf. There are three trains per day on weekdays and five trains per day on the weekends and a one-way trip will last roughly one hour. One hour, during which you will be able to enjoy one of the most spectacular cogwheel trips. Be sure to get early enough at the train station as the trains are usually fully booked, especially during the holidays. It is also possible to walk down along the tracks and gorge or to stop in the middle of the train trip at a picturesque village called Zachlorou and walk the rest of the way (13 km) to Diakopto. Once arrived at Diakopto (sometimes spelt Diakofto), the first monument you will see is the old steam locomotive No 8003, which served the route for over 70 years for a cumulated total of 2 million kilometres. More modern but also retired trains that served this railway in the past can also been seen, for example the train called by the locals Odontotos (greek word for having teeth) because of its cogwheels and composed of two wagons with a diesel engine in between. Diakopto itself is a small town of roughly 7000 habitants in the municipality of Achaea and is located at the Korinthiakos Gulf at sea-level. You can read more about the Kalavryta destination on the Hellas Holiday web site as well as search and book your accommodation in Diakopto or Kalavryta. 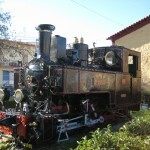 Be sure not to miss this fantastic trip with the Diakopto–Kalavryta cogwheel train; it is a great experience!